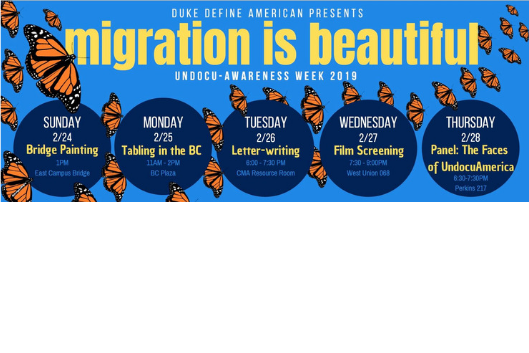 Define American is super excited to present to you all our second annual Undocu-Awareness Week! This year we will be focusing on showcasing the intersectionality of the undocumented experience and celebrating the beauty in migration. We welcome all to join us at our events!